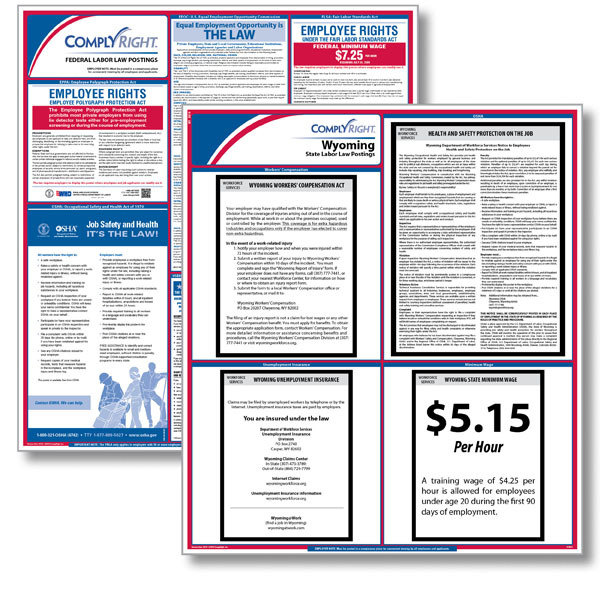 Don't let tracking legislative changes that effect your federal and state posters become your full-time job. 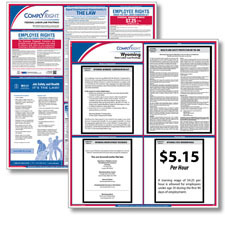 Smart employers rely on us to keep their businesses in complete posting compliance with our Federal & State Poster Set. It includes every mandatory posting you need and is the only one that maintains the exact size type fonts and layout of the official postings released by government agencies. The Wyoming OSHA poster has been updated to reflect a change on how to report fatalities and information on the penalty amounts has been updated. The Wyoming OSHA poster was updated with a new phone number for filing OSHA complaints. This is a mandatory change. State Posting - 24" x 27"